Fighting 15s is closed from 15 March to 15 April 2019, and will be reopening on 16 April. The closure period was originally intended as our Brexit closure period so adjustments could be made to the online shop to account for changes to cross-border taxation, and so that we could clear all international orders before any such changes took place. We have at all times assumed the worst – that a no-deal Brexit will happen on 29 March. At the time of writing, it still might. Accordingly, we booked holiday for some of this period so that Brexit could blow over in peace, so even with potential changes arising this week from decisions in Parliament, Fighting 15s was always going to be closed for two weeks. Some of this “holiday” time was going to be used to rearrange more of the workshop, sort out parts of the online shop, and in general get Fighting 15s fitter for business on 16 April. Plus, with Ian going away for a few days the business is going to be a bit short-handed at this time. Fighting 15s has been experiencing something of a spate of panic buying from customers. When three weeks’ worth of orders came in last week, we knew we had to shut anyway to cope. This amount of work takes us up to and beyond our holiday period, so we decided to stick to our original closure dates. We work full time on Fighting 15s by the way, and we’re currently running flat out. Even so, we will not get some orders completed, and accordingly are focusing on international orders first. We appreciate that the spate of temporary closures is inconvenient for customers. However, it is important that we serve those many customers who have already placed orders, and get their orders out as promptly as possible. 1. We are VAT registered, so there is a potential for double-taxation on international orders placed this side of Brexit but posted the other side of a sudden no-deal Brexit. The terrible uncertainty of what trading conditions are going to exist is one of the reasons why we forecast Fighting 15s would have to close from 15 March to 15 April to get all orders out the door and to adjust the website to cope. All that stuff on the news about businesses clamouring for clarity? It’s true. 2. We don’t have the staff to deal with an abnormal number of orders caused by one freak event. It’s not worth employing anyone with no experience just to get over a short period of high numbers of orders, when normality will resume somewhen. 3. Our products mostly come from the other side of the world. Customers are concerned about the future, easy availability of the high quality ranges that we sell. 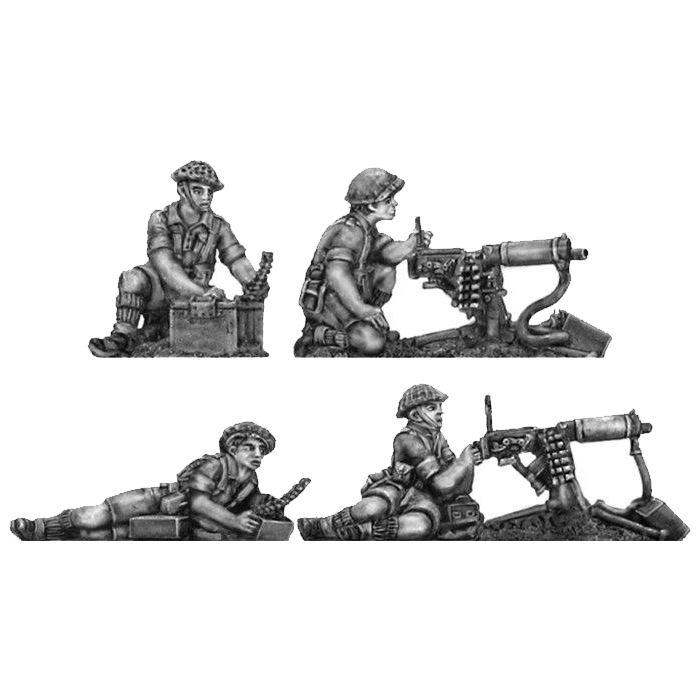 For wargames businesses in the UK that make and sell their own ranges, there is only the uncertainty of future metal prices and of the future availability of rubber moulding discs. There is no question about the future of our own ranges, such as Gladiator Miniatures, for example. Fighting 15s fully intends to continue to import and represent AB Figures and Eureka Miniatures beyond Brexit. We have just placed orders for new releases from both manufacturers, but with manufacture, dispatch and shipping taking nearer three months nowadays these will not be arriving in the UK soon. Our first restocks for the year are now arriving and a number of items marked out of stock on the site will shortly be restored. Fighting 15s will be at Salute this year on Colonel Bill’s stand. We are not taking orders for the show (although Colonel Bill’s can for the unit packs it stocks) because the show is actually in our holiday period, and because Eureka and AB are there as well. Ian has booked several days in London around Salute with the aim of talking to AB’s Tony Barton and Eureka’s Nic Robson. Incredibly, with 18 days to go, there is still no clear idea of trading conditions in a post-Brexit world. Parliament will decide this week whether to accept or reject Theresa May’s deal with the EU, and if the deal is rejected Parliament will then decide whether to have a no-deal Brexit, whether to extend the negotiating period, or potentially whether there should be a second referendum. A no-deal option basically throws trade with other countries into chaos with regards import and export taxes, and back in January – because Fighting 15s has to plan that far ahead – a short closure period for Fighting 15s looked like the only option. Back then, closing from 15 March to 15 April looked as if it would avoid most of the immediate tax issues and allow orders to customers in EU countries to be dealt with in time. The period from 15 March to 28 March was envisaged as a period where Fighting 15s would clear international orders first, then deal with domestic orders. Ian booked holiday to escape some of the madness, so whatever happens this week in Parliament, Fighting 15s will close from 29 March to 15 April with just an appearance at Salute (6 April) on the Colonel Bill’s stand to show Fighting 15s is still active. The online shop will be shut during this closure period. Fighting 15s has a more than adequate supply of rubber moulding discs and casting metal to cover any immediate post-Brexit supply issues so there is no risk to the supply of our own ranges and of licensed castings. Fighting 15s is also financially secure enough to withstand a month of closure, so whatever happens this week Fighting 15s will definitely reopen, initially to UK customers, on 16 April. This article will be updated when events this week in Parliament clarify what is happening. Tony Barton has also sculpted a new French line lancer officer (IFC09A), now available as an option in the lancer command pack (IFC09-10). For the Peninsula British he has added flank company skirmishing (AB-B11A). All are available to buy now in the Fighting 15s shop. Brexit Day – or B-day*, as I prefer to call it – will from a retailer’s point of view very soon be upon us. I am already looking beyond Christmas for the arrival of new stock, and it is therefore time to think about the implications of B-day on the running of Fighting 15s. If you run a small VAT-registered mail-order business with continental EU customers, then at some point you’re going to have to do some similar thinking. Uniquely, small non-VAT-registered businesses are not affected. 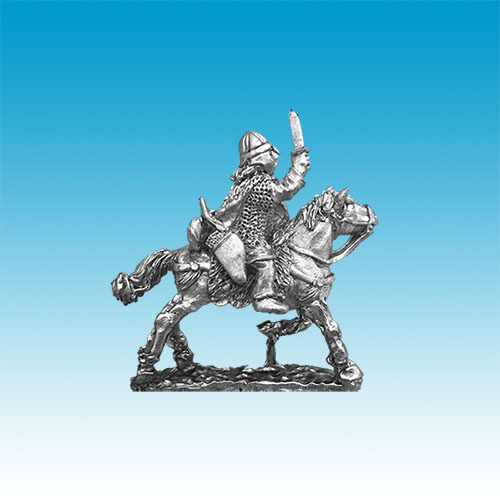 Obviously, with the recent purchase of Gladiator Miniatures, Fighting 15s plans to carry on trading: Fighting 15s will continue selling to the UK, what’s left of the EU, and beyond. Fighting 15s will continue importing AB and Eureka Miniatures. Just so those topics are got out of the way first. B-day properly is 29 March 2019. However, it may be that negotiations mean that customs regulations don’t change immediately because there may be a period of transition. So, I’m going to instead define B-day as being the date that customs regulations actually change: that may be 29 March 2019, or it may be some date further in the future. There are only two outcomes on B-day, whatever the fine details of discussions with the EU and whatever the final deal struck: the UK remains in the customs union or it does not. In the currently unlikely event that B-day arrives and the UK is still in the EU customs union, then good news: nothing is going to change. VAT arrangements and import duties stay as they are and Fighting 15s carries on as at present. If the UK drops out of the customs union under the no-deal option, or has a compromise deal where cross-border taxes are handled as they are for Norway, Switzerland or in the Canada deal, then Fighting 15s will have to shut temporarily around the B-day period and estimates that period of closure will begin about two weeks before B-day and end about two weeks afterwards. The reason for this closure is simple: the changing tax regime may catch Fighting 15s’ continental EU customers with a double tax whammy. Orders placed by continental EU customers prior to B-day will be charged VAT; orders placed after B-day will not. It is conceivable, therefore, that an order is placed with VAT charged, but not dispatched until after B-day, when it risks being charged import tax again, along with handling fees by the delivery company. The only way to avoid this is to close before B-day to be able to clear any orders to continental EU customers and ensure that these orders are dispatched in plenty of time before B-day. Fighting 15s will then be able to focus on UK orders, and work on changes to the online shop. Note that while the UK is a member of the EU, it is Fighting 15s’ understanding that UK online retailers have to trade without prejudice to all customers in all EU countries: it is not legal to, say, shut off all of the EU except the UK – either a retailer is open to all or shut to all. As I said at the start, non-VAT-registered businesses are not affected. They don’t charge tax to begin with: the only change is that after B-day a parcel from them will be taxed in the destination country, making their goods typically 20% more expensive (plus that handling charge) to continental EU customers. If B-day – again, I repeat, from a customs point of view – is the earliest possible date of 29 March 2019, then Fighting 15s expects to be closed from mid-March to mid-April 2019, and it will not be possible for anyone to order during that period: the online shop will be put into holiday mode, and with regret it will not be possible to accept orders by phone, email or post because the online shop is used to administer such orders. I repeat that in reality B-day will probably happen at the end of whatever transition period is agreed. Shortly after B-day, Fighting 15s will initially reopen online to UK and non-EU customers (such as those in the USA, Canada and Russia). Fighting 15s will reopen to EU customers once it becomes absolutely clear what the obligations are with regards to customs and duty and once the online shop is set up to run properly under the new customs and tax requirements. EU customers ordering from Fighting 15s after this point will have VAT deducted in the shop, and will be liable for VAT on import as well as any handling fee charged by the delivery company. 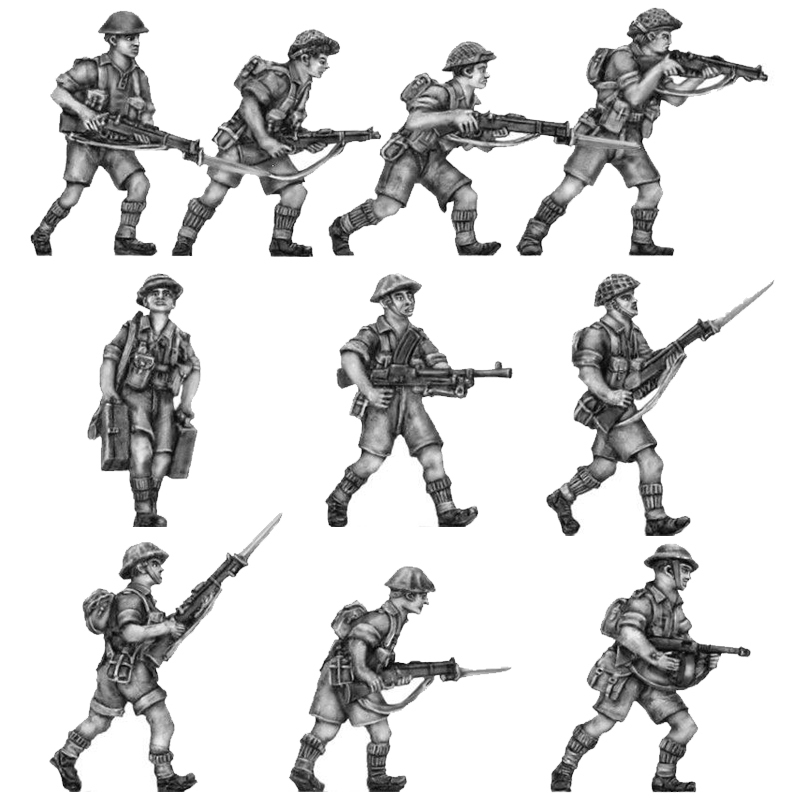 Fighting 15s therefore recommends that anyone with figure requirements for a major project in the new year, or in particular for Salute 2019 on 6 April, gets organised and orders early. Please stay tuned to this article, as I will update it to reflect actual dates and the exact nature of the UK’s departure from the EU, and based on whether the intended transition period happens as expected or is extended. * Here I prefer to fondly remember that Crocodile Dundee succinctly defined a bidet as something you wash your bum with. PS. For the record, I voted Remain. However, I accept that daft though I think their decision is, a majority of those who voted wanted to leave the EU. I don’t believe the terms of that exit were made clear, that a lot of lies were told, but I have to live with what is decided because I believe in democracy. As we head to B-day, I simply point out more of the unforeseen consequences, which of course remain irrelevant to anyone who wants Brexit at any cost. 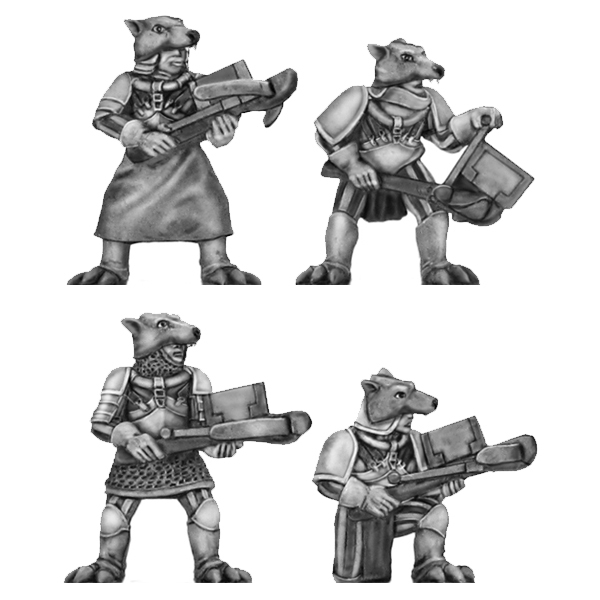 The 28mm Granbretan Wolf Order figures from Eureka Miniatures for its Hawkmoon line are now listed in the Fighting 15s shop. These are a very late addition to the shop because the box containing them has been in the workshop for months. This is entirely my fault because the box’s arrival coincided with the death of my mother, and so it has just sat on a shelf as a painful reminder of events since January. It has been the one thing with which until now I have been unable to cope. The result is a somewhat half-arsed addition to the shop, as now I have unpacked and sorted the box, I discover that I have clearly forgotten to order the Karmarg flame lance troops, who came out at the same time, and the Karmarg cavalry. These codes are now listed in the shop, but it is not possible to order them as yet: the add to cart button has been removed, and they are described as not in stock. I will remedy this as soon as I can. For now, if you want to order these figures, please do so by email.